Liza Soberano captures hearts with her timeless beauty and effortless style. 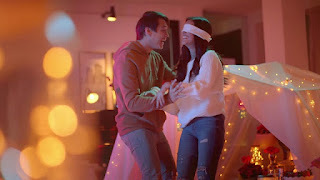 In her latest commercial with Enrique Gil for the new SAMSUNG Galaxy J8, the young actress sports standout looks on her date nights with her partner. Florals and earth tones make for a subdued yet appealing look. 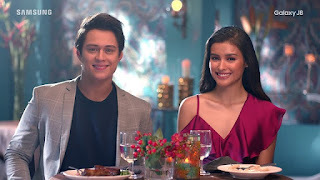 In the party scene and poolside date, Liza wears a white floral top and a pair of flowy mustard-colored pants. The pops of color add fun to this simple look. Pair shirts or sweaters with distressed jeans to balance casual and rugged elements. An oversized knitted sweater is the best piece to wear for snuggling with that special someone. The ripped denim jeans add a cool twist to this comfortable look. One can still be adventurous with a simple dress. With an asymmetrical neckline and a flowy sleeve, this chic fuchsia piece is tight around the torso, but loose at the bottom. 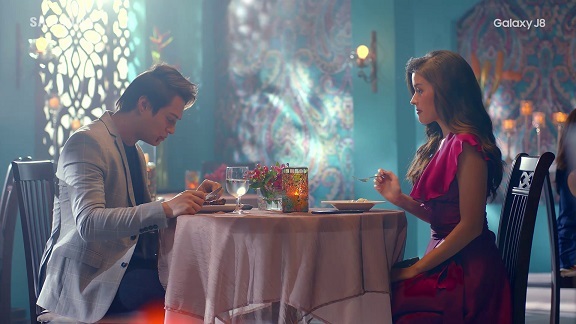 Liza’s classy dress proves that one can stand out in a monochromatic dress, given a few design tweaks. Check out all of Liza’s stylist moments HERE! Like Liza, complete date nights with the perfect companion for life’s picture-perfect moments: the Samsung Galaxy J8. Capture memories in vivid detail with its Professional Dual Camera. Equipped with Live Focus, the 16MP F1.7 + 5MP F1.9 Rear Camera allows one to adjust the background blur to produce vibrant shots. 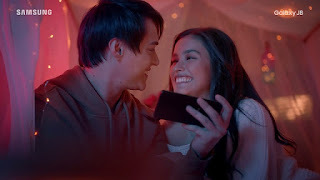 The Great Night Camera ensures that date night OOTDs stand out in photos, even in low light conditions, while the 16MP F1.9 Front Camera helps couples take cute and candid selfies. With the Galaxy J8’s powerful 3,500 mAh battery, capture precious memories without worrying about losing power. Relive the magic in high resolution through the Galaxy J8’s premium and immersive 6” Super AMOLED Infinity Display, an expansive screen complemented by smooth and seamless design. Available in black, purple, and gold, the Galaxy J8 also provides access to exclusive benefits via the Samsung Members app, and anti-theft function through Find my Mobile. Also get quick emergency access via the Samsung 321 app. Pre-order the new Samsung Galaxy J8, with a suggested retail price of PHP 15,990, starting July 21 before its market launch in August. To know more, visit any Samsung-authorized stores nationwide or visit facebook.com/SamsungPH or samsung.com/ph.